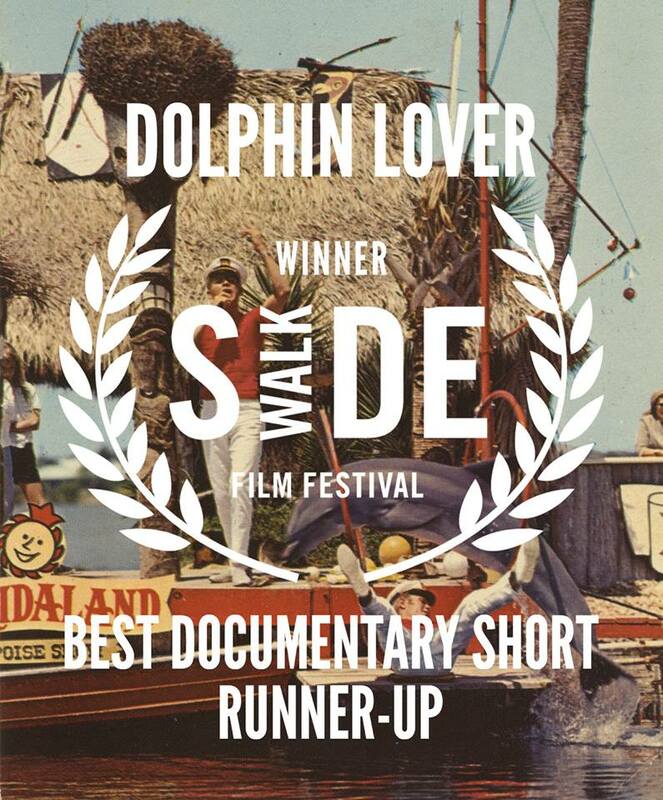 MIAMI 8/31/15 – “Dolphin Lover,” the documentary film about author Malcolm J. Brenner’s 1971 love affair with Dolly the dolphin, was named runner-up in the Best Documentary Short category at the Sidewalk film festival in Birmingham, Alabama, producer Joey Daoud announced today. This makes a total of four awards for the film, including Best Documentary Short at the Los Angeles Film Festival, and honorable mentions at Slamdance and the Indie Grits festival. The 16-minute film uses archival footage of Floridaland, the amusement park where the interspecies romance took place, Brenner’s black-and-white period photos of the park’s dolphins and extensive interviews with Brenner. To see a teaser for the film, click here.